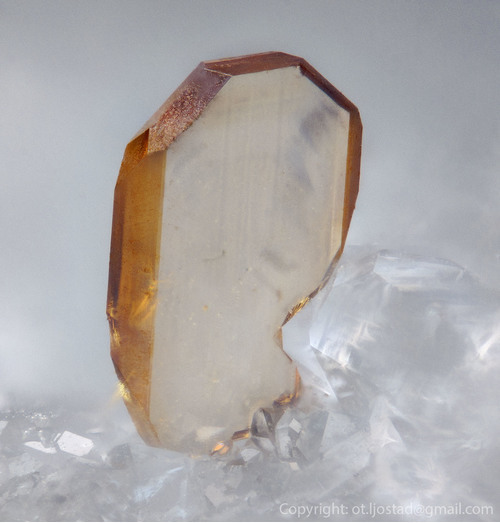 This page lists Alberto's favourite minerals, localities and photos. All lists in alphabetical order. 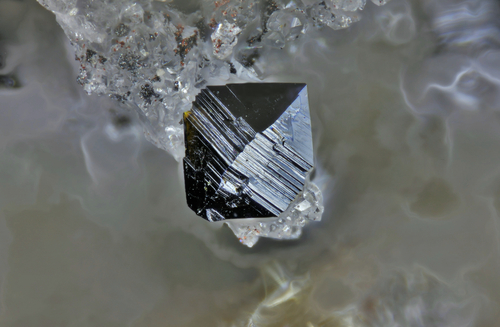 Very well formed Tobernite crystals. 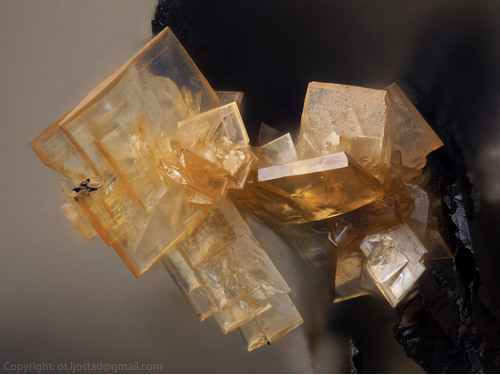 Golden-yellow sphalerite crystal of 1.5 mm with colusite and enargite in epitactic growth. Ex Angelo Simonini collection - Canon EOS 5D Mark II camera, bellows, Olympus Zuiko 20 mm macro. 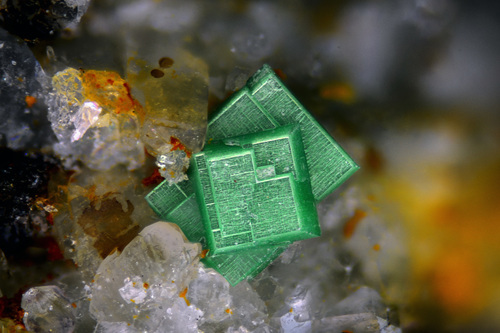 Anatase crystals from Skiferbrudd, Melbybråten (Rogne), Øystre Slidre, Oppland, Norway. FOV 5.3 mm. The specimen was collected by Bjørn Skår and it is in his collection. Photo OT. Ljøstad. 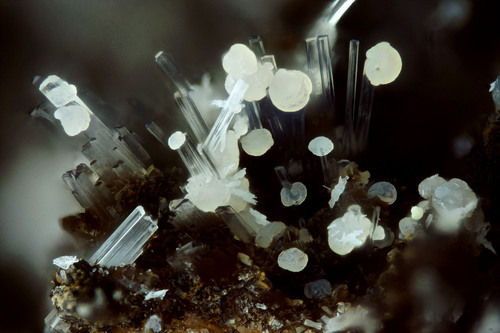 Platy, transparent anatase crystals from Hardangerjøkulen, Norway, collected by Bjørn Skår. FOV 5.3 mm. Photo OT. Ljøstad. 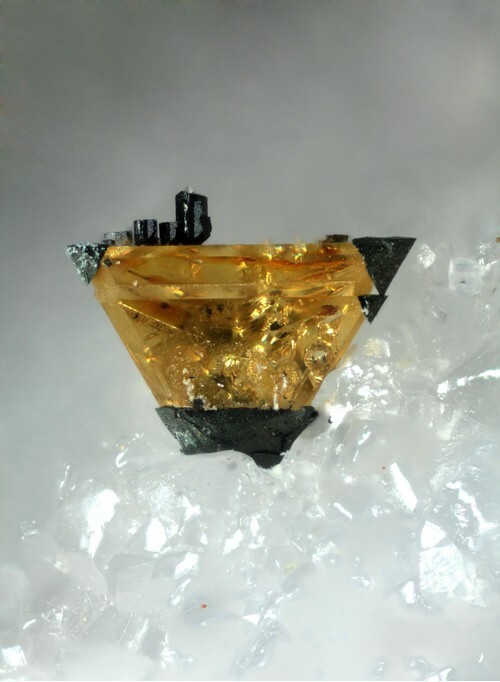 A platy, transparent crystal of brookite from Øystre Slidre (Østre Slidre), Oppland, Norway. FOV 2.1 mm. 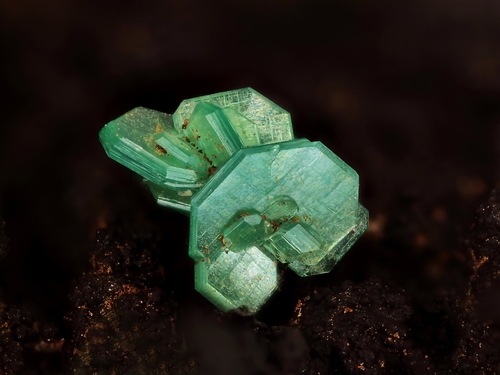 The specimen was collected by Bjørn Skår and is from his micromount collection. Photo OT. Ljøstad. Picture taken with Zeiss Discovery V20 & Plan Apo S 3.5 x mono objective. 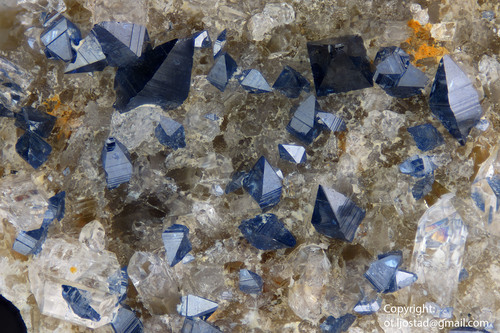 Platy, twinned crystals of clear/violet diaspore with prismatic crystals of natrolite, collected by Stig Larsen at the Saga quarry, the Langesundsfjord District, Norway. My catalog number 9257. FOV 2.98 mm. Collection and photo OT. Ljøstad. 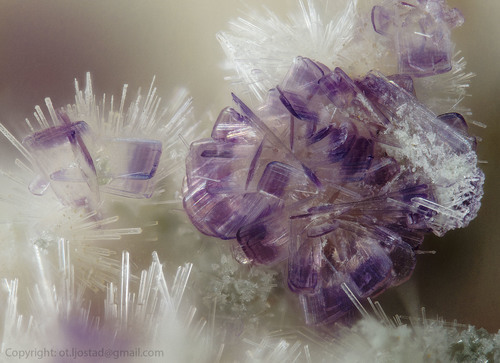 Grey balls of fluorite on clear crystals of natrolite from Sky, E 18 roadcut, the Langesundsfjord District, Norway. My catalogue number 9095. FOV 1.45 mm. 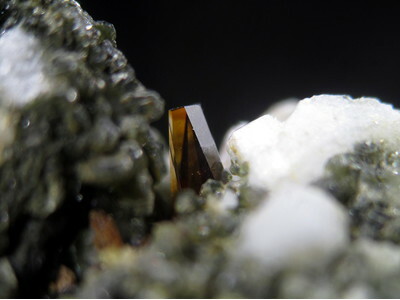 The specimen was collected by Jens Andreas Larsen in 2010. Collection and photo OT. Ljostad. Alberto Vaghi does not currently have any sponsored pages.